Adults and children alike have an intrinsic need for those places off the beaten path, beyond where the hard road turns to gravel, beyond where the sidewalk ends. We need places where the air is clean, where the light is pure, where the shadows are deep. Stripped of the trappings and busy-ness of our modern age, they remain consistent year after year. Everything here is comfortable and worn and familiar. We disengage from the outside world. Surrounded by nature, we succumb to its rhythms. Despite the call of the great horned owl that pierces the darkness, we sleep more deeply. Despite the humidity of the southern air, we breathe more easily. Despite the heaviness of the heat which slows our footsteps, we tread more softly. American artist Jen Ervin’s The Arc (of Summer) speaks to us of such a place. Rooted in her connections to family and a strong sense of place, Jen’s photos pay homage to the luminous moments of childhood, to simple pleasures, to languid afternoons. She offers us a backstage pass where we witness magic and memories in the making: days spent swimming in the river, evenings spent chasing fireflies, nights spent eating s'mores around a bonfire. 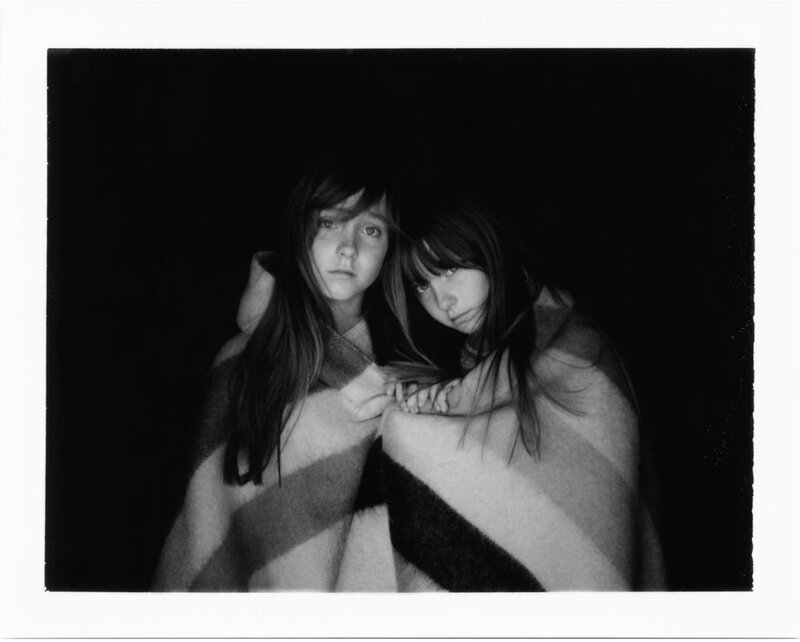 These photos portray the ephemeral nature of childhood and innocence, a bittersweet notion that is reinforced by the choice of black and white film. Children change and grow. They leave the nest. That is in their job description. We can feel Jen's urgency, as a photographer and as a mother, to document and preserve these treasured moments. We can imagine her daughters, at some future point in their lives, sifting through a veritable hope chest filled with photographs, adrift on the flood waters of memory. And we smile. We feel the tug of nostalgia for the summers of our youth; and for those of us whose children are now grown, for the summers when they were still young. 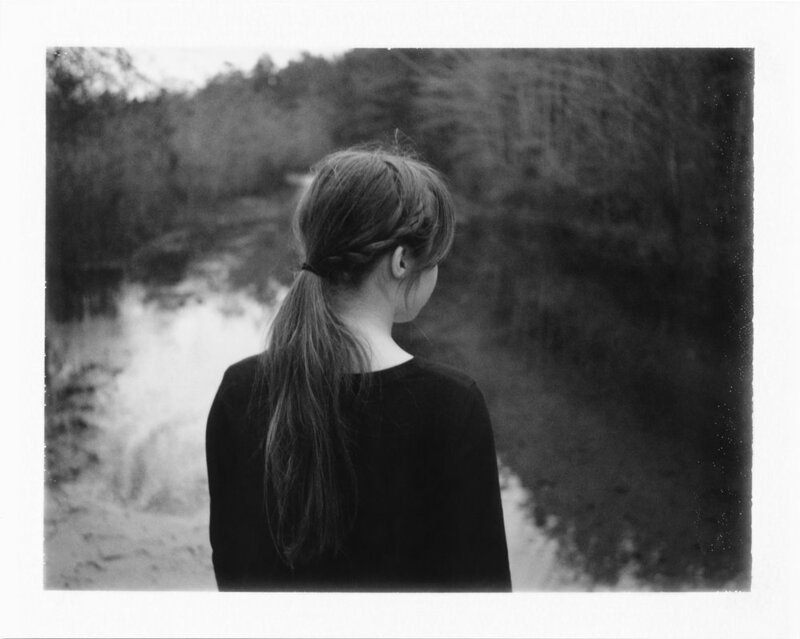 By sharing her sensibility as an artist and these intimately captured moments, Jen Ervin invites us, in the gentlest of ways, to sink into our own experiences and to remember. 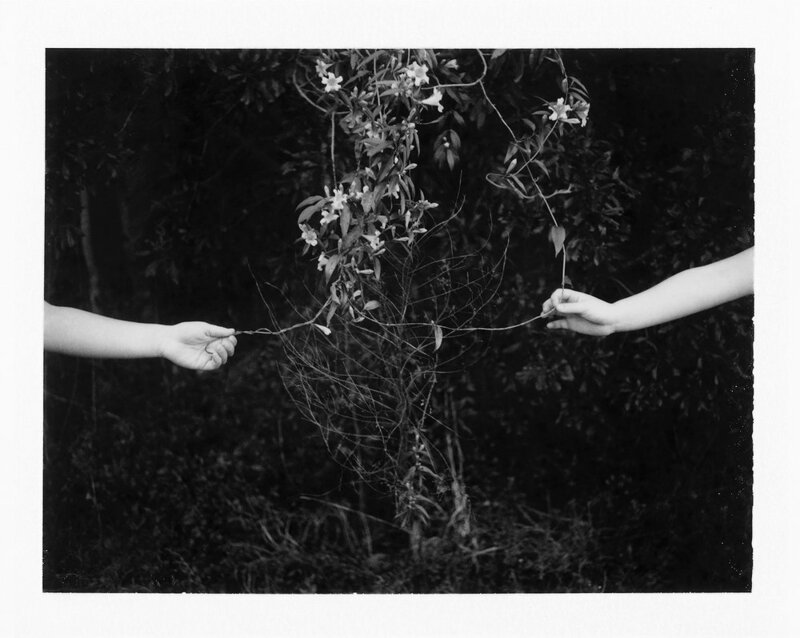 Of her work, Jen says, "The Arc (of Summer) is a collection of Polaroid prints that I began in 2012 and remains in progress. It celebrates the ethereal world of childhood, the waxing and waning of summer, and the wild desire to remain in its embrace. These images were made with my family near our historic cabin, set deep in the woods of South Carolina along the Little Pee Dee River. Here we weave our southern family history into the present to create our own mythology. "Ark Lodge, our cabin of refuge, is a place where time stands still. While the cabin itself was built over 70 years ago, it rests secluded in a landscape that has managed to escape modernization for centuries. Whenever we arrive, we instantly slow down, breathe deeper and become enveloped in its hauntingly, beautiful presence. This is especially so on long summer days when it is unbearably hot, humid and buggy. Somehow we have all learned to quiet our minds and move only in small increments to maintain as much coolness, as we can. Consequently, these slow actions deepen our awareness of our surroundings. We automatically lose our sense of time, and it can sometimes feel as if we are floating in and out of dream world. Jen Ervin's prestigious work has been widely featured in solo and group expositions throughout the United States, in magazines, and online. 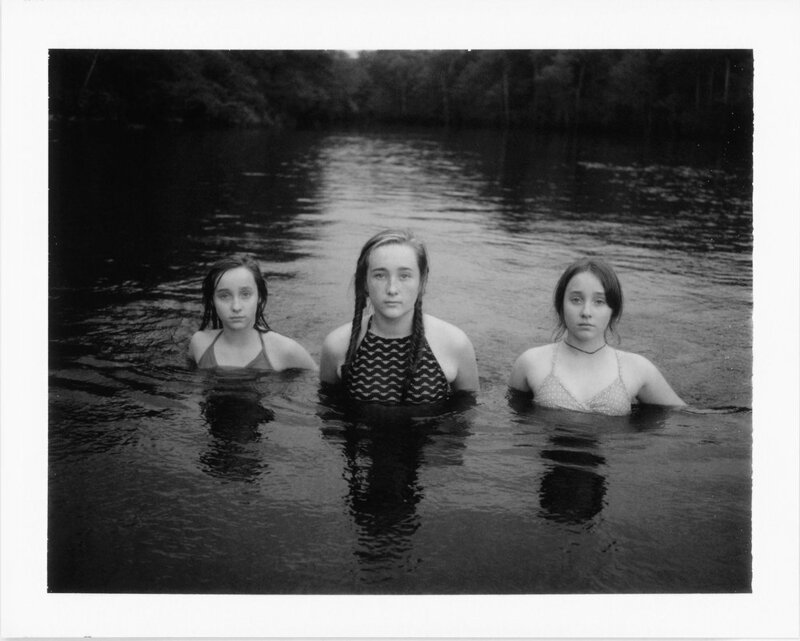 She was a featured photographer in the Lenscratch States Project for her home state of South Carolina. 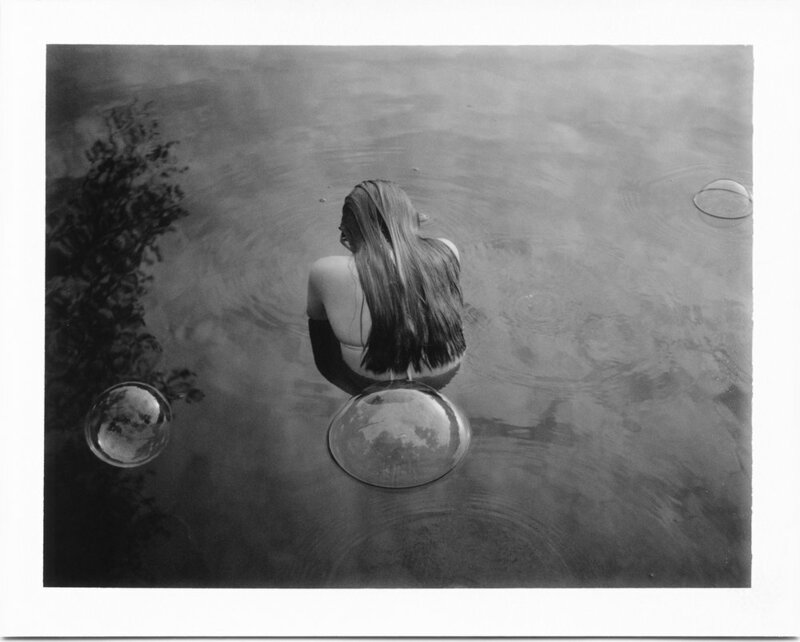 Jen has received numerous photography awards and honorable mentions. She has been a lecturer, a teacher, a juror, and a portfolio reviewer. You can connect with Jen Ervin on Instagram and through her website. You can connect with Anne Silver and Pryme Editions on Instagram. *All photos are the exclusive property of ©Jen Ervin, 2018, and may not be used in any way without the author's written permission.